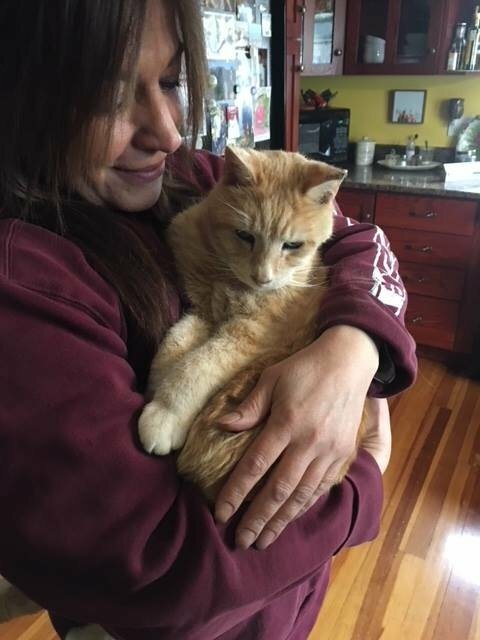 A orange cat named Simba spent almost two decades with students and faculty members at Westbrook High School in Westbrook, Maine. He greeted them at the door every morning and visited the superintendent's office for love and some cuddles. 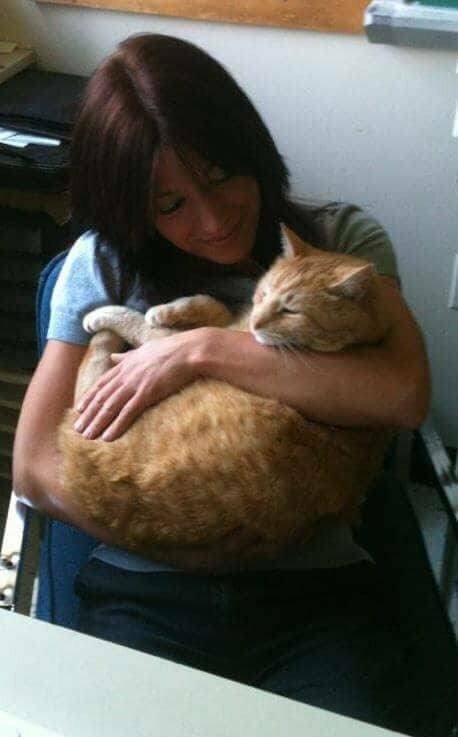 It all began in 2000, when a math teacher ran into the adorable orange cat who then followed her into her classroom and decided to stay. Since then, he hadn't skipped a day visiting his friends at the high school. He fell in love with the place and just kept coming back as it had become his second home. Simba was no stranger to the students there. 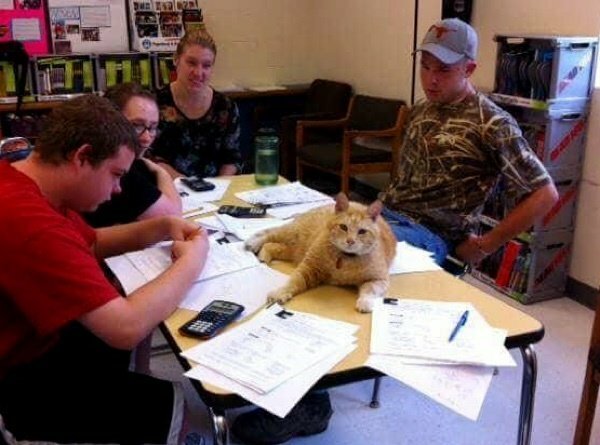 He would sit next to them when they were doing homework and stop in meetings to "help" as a feline supervisor. 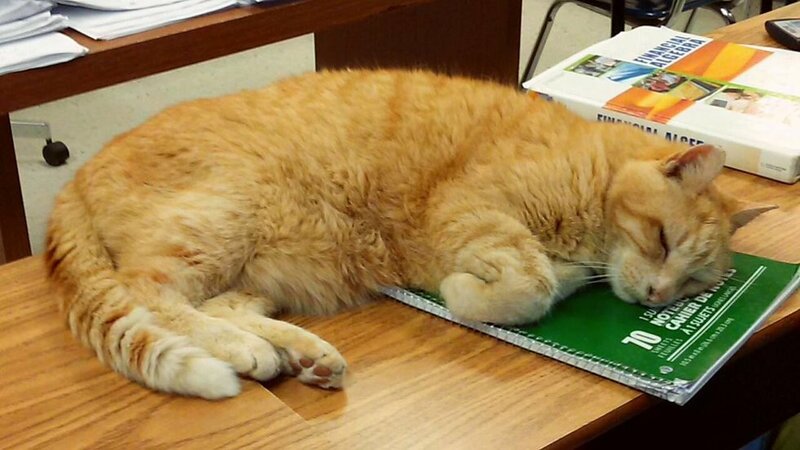 Simba loved to show up in class and nap on students' text books. He never failed to put smiles on people's faces. When students were stressed with school work, Simba came to their rescue and brought them a sense of peace. The orange boy thrived around people. He loved to nap during lectures and maintained purrfect attendance. Simba was a fixture at the school and a cuddlebug, bringing calmness and joy to everyone that he met. 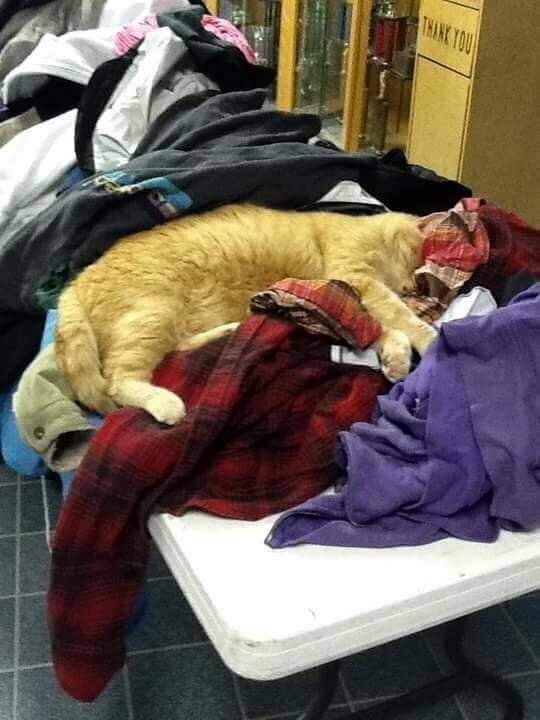 He became part of the school community and a dedicated therapy cat at the guidance office. They gave him his very own chair as students often asked for Simba at the office. 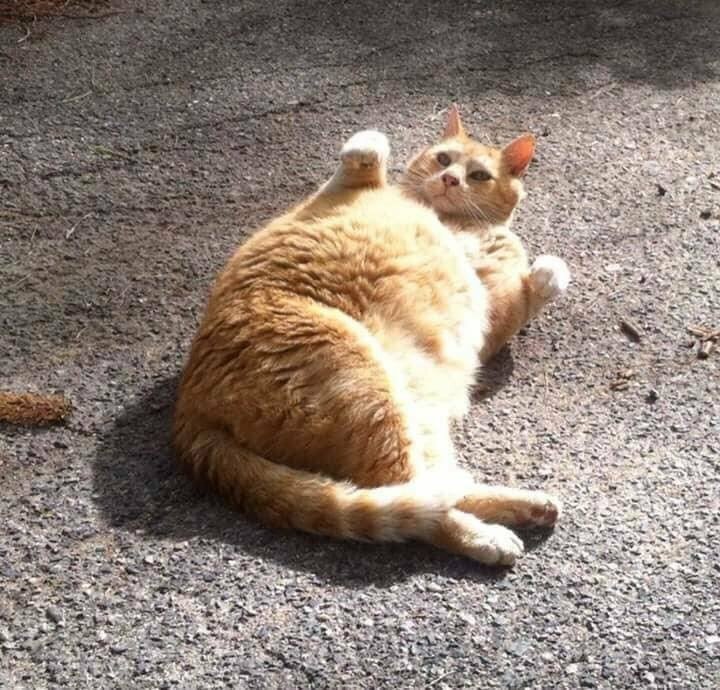 The sweet orange tabby had made a difference in many people' lives at Westbrook High School. He was their biggest cheerleader and the most loyal friend. Five years ago, students wanted to honor Simba for his loyalty to the school with an art show. They displayed various art pieces inspired by their beloved feline friend. 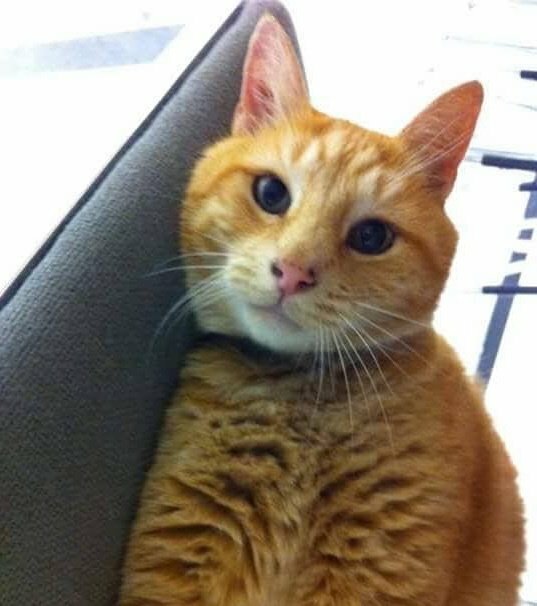 The sweet orange cat crossed the rainbow bridge on June 27 at the age of 21. "Simba enjoyed over 20 years of family, school and neighborhood life and brought peace, friendship and affection to all he befriended... He possessed a contemporaneous fierce independence and deep love for human interaction," Eileen Shutts, Simba's human mom, wrote. "A steadfast 'outdoorsman,' he taught us to slow down and 'just be' and to appreciate time with each other and the simple joys of the world around us. "Simba will be greatly missed by his family and all who shared his huge feline heart. His benevolent spirit will always be with us," Eileen said. "Thank you for the peace and happiness you brought our students and staff for so many years... we love you and will miss you so much," Westbrook High School wrote. Rest in peace sweet sweet boy. If you happen to see a black and white cat named scratch, tell her mama loves and misses her everyday. I know you will be missed. Run free across Rainbow Bridge.